September 8, 2017 September 11, 2017 / Elizabeth T.
It may be the end of summer, but body hair removal is a year round thing, because, let’s be real, shorts and skirts are still a must in the fall in California! A little secret – I’ve actually never shaven in my life up until this past month. I know, it’s hard to believe, right? Hahaha do you want to know why? That’s because I’ve always epilated. For those of you who aren’t familiar with epilating, an epilator pulls hairs out by the roots, rather than just shaving the hairs visible to the eye. And though I’ve always enjoyed epilating, I couldn’t for sure say that it’s my favorite form of hair removal if I haven’t given any other methods a fair chance. 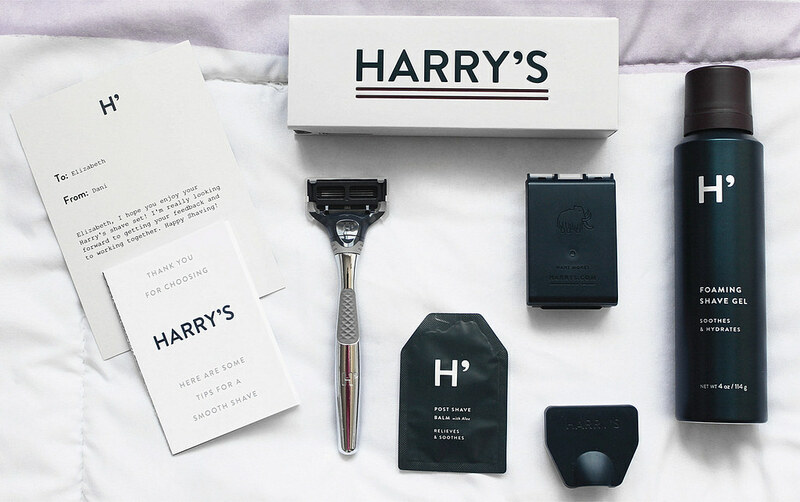 If you don’t already know about Harry’s, they are a brand that is different from other shaving brands. A lot of drugstore brands nowadays over-design and over-charge, but Harry’s is more focused on the quality of their products, with over 600 expert designers, craftsmen, chemists, and engineers to build products from the finest materials and ingredients. Plus, they have their own factory in Germany where the blades are manufactured and sold directly to customers online! Though Harry’s was initially considered a men’s razor brand, there have been an increased number of female customers who’ve been enjoying these exceptional razor blades because they not only give really great shaves, they’re also half the price of traditional razors! In the Winston Set that I received from Harry’s, the razor was what stood out to me the most. The five German blades were very sharp yet durable, with a flex hinge and lubricating strip. I admit, I was a little nervous at first, since epilating is relatively painless, so the first few times I handled the blade, I was a little scared to cut myself. That’s why I was so thankful for the ergonomic body that came with a rubberized grip for optimal control. In terms of aesthetic, I loved the die-cast zinc and polished chrome since it gave a very clean, sleek, and classy finish. All in all, I think Harry’s shaving sets are pretty amazing, especially at the price that they’re being offered for. The performance definitely blew me away, and I love how chic and understated everything looks. On that note, even though I had a very pleasant experience shaving with Harry’s, I’m still an advocate for epilating for a variety of reasons. First of all, it’s important to note that my hairs are relatively fine, and I don’t have a lot of body hair to begin with, so in terms of the difference between shaving versus epilating, there isn’t too much of a difference regarding how “clean” it feels. One aspect that I enjoy about epilating is that the process pulls hairs out from the root, so smooth and hair-free skin lasts up to at least 2 to 3 weeks, while with shaving, hair has to be shaved every few days, since it’s only getting rid of it at a surface level. Also, I find that epilating is a bit easier to manage, since you can just epilate on dry skin, and there’s no need for any other equipment such as shaving cream. And last but not least, epilating costs less in the long run. A good epilator can range anywhere between $50 – $100 (I actually got mine for $50 at Target), but you don’t have to replace this for 2 to 3 years, since epilators can just be cleaned and recharged. Of course, Harry’s is remarkable in that they managed to produce very high quality products that are very competitively priced. With such sleek razors and blades that offer top-notch performance, I can definitely see why they are so popular! 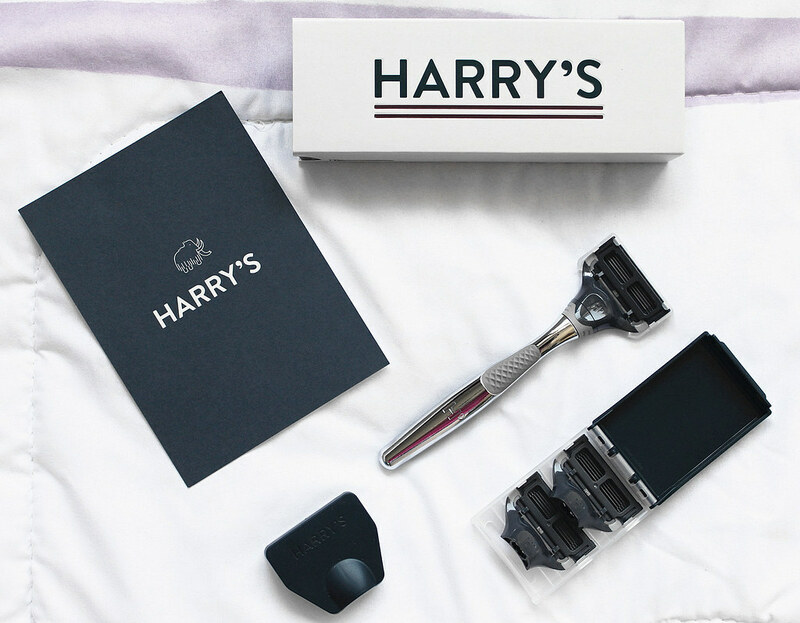 If you haven’t heard of Harry’s, definitely do check them out and see how their innovative razors are about to change the way people purchase shaving tools! Are you a fan of shaving or epilating? What are some of your favorite hair removal methods? Let me know in the comments! 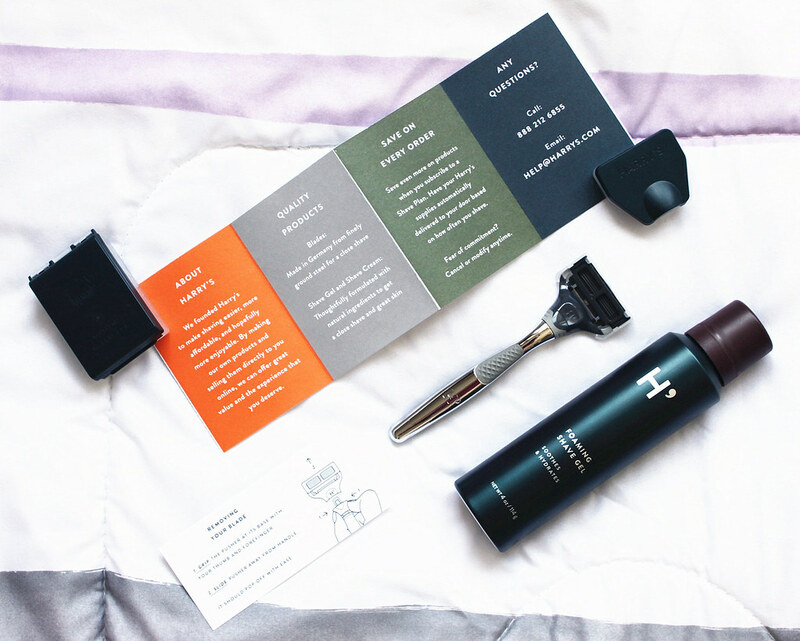 **I received these complimentary products from Harry’s Shave Club for testing purposes. All opinions are my own. Oooh interesting babe! I always thought Harrys Shave was just for men to use. I tried epilating in the past, but OMG it hurts a lot. I’ve done laser hair removal so I just shave reguarly with Venus. I gotta check this brand out though. Yes, I was so surprised it works on us ladies too! And aww I’m sorry to hear that your epilating experience wasn’t too good 😦 But I’m glad to hear that laser hair removal worked on you! 🙂 I’ve been thinking about it for awhile now! This looks amazing! I’d love to try! Really interesting, thanks for sharing love. I’ll test on my hubby first. LOL you should definitely try it on him first! Sounds like a great product! I love it when I find a good razor. Thanks for sharing! Thank you for stopping by love ❤ 🙂 Glad you liked the post! Yes, I always thought they were a men’s shaving brand too, but I was surprised that it works for us ladies as well! 🙂 Haha and oh, epilating is one of the best forms of hair removal! Haha I’ve always epilated, since I’m not too hairy too, and I find that it leaves my skin very smooth ❤ Thank you for stopping by too, love! Sounds like a great product ! Thanks for the review ! Have a great start to your week ! Very useful post, thanks for sharing!